A decade has past since The High Plains Drifter walked in the saloon in 2001, although other offerings have been brought to the table nothing has been as greatly anticipated. For what seems like an eternity Jehst has been quiet in the foreground of the UK Hip-hop scene. With few solo releases himself, much of his time and efforts seem to have gone into keeping his label YNR stocked consistently with high quality products from an ever expanding roster of UK artist’s. Due to endless promotion and touring of labels mates projects, its no wonder heads were apprehensive about when “Dragon of an Ordinary Family” was finally going to drop. In February 2011, a shonky camera phone video appeared on youtube portraying someone filming their apparent postman, who bore an uncanny resemblance to a certain astro chav. There was a momentous amount of hype over this video as to its originality; was this some next level weird fan geekery is Jehst actually a postman, does it actually matter?? no-one really knew but the hype was there. The video turned out to be an ingenious viral effort from the YNR camp and was actually the beginning of “Starting Over” the first single from the new album Dragon Of An Ordinary Family. The spoofed out video shows Jehst bowling through London sporting full Royal Mail fatigues, spitting long awaited freshness, keep your eyes peeled for cameos from Stig, Parky, Mystro and Jyager. Dragon of an Ordinary Family is stocked and a full 16 tracks with only one intro. The production credits look like a who’s who featuring Chemo, Beat Butcha, Jon Phonics, Jazz T and Zygote, LG, Mr Thing and 5 coming from Jehst himself including Starting over and also the Bring-it-Live-esq The Illest. The fifth track England has Jehst voicing ever socially conscious views on the state of current times in the U.K. over heavy drums and eerie piano samples provided by Beat Butcha and is personally one of my favourite tracks on the album. Camberwell Carrots and Tears in Rain are more sombre and down-tempo points, harking back to the Falling Down era. L.G. has the beats for these and another 3. Jehst’s DJ Jazz-T and his colleague in crime Zygote bring their trademark Boot sound to the third tune Zombies, Jon Phonics has the penultimate beat on Timeless, with the title track closing the album. The whole package is tight from the promo, to the live shows, down to the packaging of the vinyl, you can tell this is a labour of love and a lot of graft and thought has been put into every aspect of the release. The double gatefold vinyl is absolutely beautiful and consists of 2 coloured red and blue high quality 12″s. 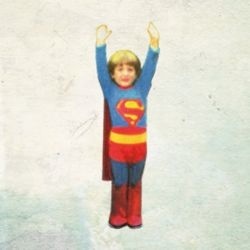 The LP also comes with a Superman download card for the complete 16 tracks in .wav format from dropcards.com. for all you Serato monkeys. After ordering the album from the YNR site and finding upon delivery that it had been shipped from suspect packages it shows another aspect of how much has been kept within the scene and not outsourced. The album as a whole is testament to everything good about the U.K. scene and hip-hop as a whole. UKHH.com, these are the kind of releases that could make you relevant again, if you can find someone to write about them reflectively. But this review has almost no context or evaluation. There is nothing here that any listener could not have sussed out him or herself with one listen. My balls your chin, theres your evaluation right there buddy !! !